Dr. Michael Gray, a popular and successful plastic surgeon, spends his days transforming the way people look on the outside. But one thing he can’t do is fix who they are on the inside. That doesn’t mean he isn’t interested in trying though. Gray felt the social networking sites already in existence, like Facebook, were not helpful because the users were in control of their profiles and able to create the type of persona they wanted to portray. So Gray began to envision a social networking site that would promote greater self-awareness and help people become better. What he came up with will no doubt be met with mixed reactions. Pegged (pegged.com) will be controversial. The networking site (a mobile app is in production and will be released soon) will be a painful reality for many people. All social networking sites currently allow users to create their own profile, but in an interesting twist on the idea of social network profile creation, Pegged allows someone else to create a person’s profile. If you don’t like the waitress at the restaurant you can “peg” her by creating an account and detailing why she missed the mark. If a former friend is spreading rumors about you, you’ll have the opportunity to publicly call them out on their transgression. On the other end, the site will be beneficial for those looking to hire or date someone with more accurate data available for background checks. 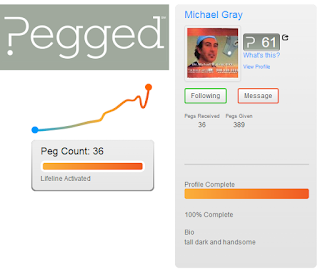 Through the comments and ratings made by others on a profile, Pegged follows people in their daily lives of social interaction and assigns them a “humanity score.” Over time, a graph will be produced showing the ups and downs (positives and negatives) of the quality of that person’s interactions chronologically in their lifetime. Gray believes this graph will provide users with valuable information about whether or not to date, hire, work for, or join a group with another person. Individuals will rate and review each other anonymously which will no doubt be one of the more controversial aspects of the site. Concerned about bullying, Gray insists that there are many safe-guards built into the system so that no one is being rated based on religion, gender, race, age, or sexual orientation, and there is always the opportunity to respond to any comment. Gray won’t get into the way in which Pegged will prevent bullying, but says it will be similar to the measures Facebook implements to keep hate speech and abuse off their site. In an effort to resolve conflict between two parties, Gray is hoping to add a basis for mediation on the site. 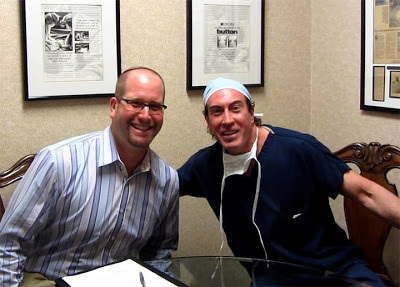 Dr. Michael Gray is known for helping people improve their external image, but in this new endeavor he might have created the technology to help people do their own surgery on their character. 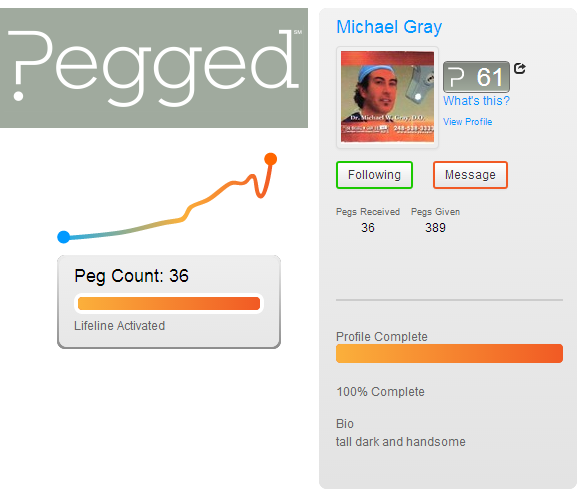 Perhaps Pegged will be a tool to better help individuals prepare for the process of repentance on Yom Kippur.